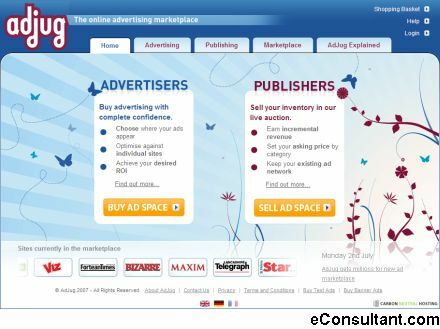 Description : AdJug is an online advertising marketplace. It connects buyers and sellers of online advertising and provides them with transparency, control and choice. Publishers can take control of their online inventory to increase their earnings and advertisers can run better campaigns because they know where each conversion and traffic is coming from.